Of course, you can't expect UrbanCincy to skip over one of the biggest parties of the year can you? 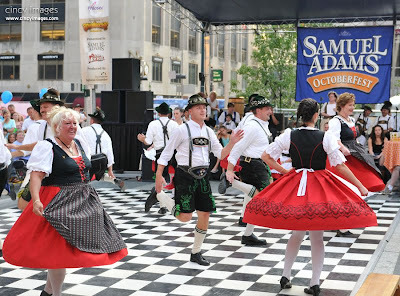 Oktoberfest is upon us as six blocks of downtown Cincinnati will be transformed into the largest German party this side of Munich on Saturday & Sunday. Reminding our readers to find their way down would be very simple, but hopefully you've come to expect a little more than that from us here. First off, Oktoberfest Zinzinnati, as it officially called, has received large amounts of critical acclaim through the years. In the past both USA Today and AskMen.com have ranked our version of this German party as one of the best festivals in the country, and this year DigitalCity says we are number one! While DigitalCity may not be the most mainstream outlet out there, isn't awfully nice to know that yet again Cincinnati is garnering the respect and attention it deserves? Think Oktoberfest is just a time to come down and wander through the streets while sipping a cold one? Think again! There are all kinds of activities planned for the weekend including a few lead up events on Fountain Square both Thursday and Friday over the lunch hour. Additionally this year there is the HYPE Haus Party, which does cost a bit of money for entry but looks to be a great time as it includes both a beer sampling, and a light buffet among other things. So now you know the critical acclaim, as well as all the other activities that go along with Oktoberfest Zinzinnati, but what is probably most important is that this weekend 500,000 people will descend on what we know is an urban city center that is supremely different than it was even a year or two ago. For all of the positive press that Cincinnati has received, and all the work that has been done, this should really be a time to show off and have a great time with half a million of our closest friends! Those of us that are strong and vocal advocates for all that has been happening should make sure that we get the story out and help everyone else see all the great things going on around outside the mini-Munich on Fifth Street that will be there for two days. What else do you need to know? Well, make sure you bring an appetite as tons of food will be served and more than a few beers will be poured so don't forget to come thirsty too. 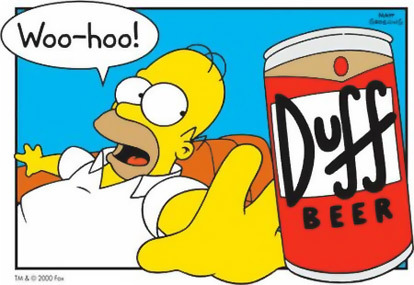 And oh yeah, keep an eye out for native son Jim Koch of Sam Adams fame, TV's biggest beer man, from Cheers it's George Wendt, and some guy named Homer will be around too. Prost! Oktoberfest photo by Jayson Gomes of Cincy Images.